Flight Facilities touched down at the Fremantle Arts Centre on Saturday night for a huge, sold out party with The Kite String Tangle. Despite their last Perth show having a much smaller audience (it was at Villa), the duo had no trouble putting the large crowd at ease for the duration of the journey. The Kite String Tangle proved the perfect support act. Surrounded by the beautiful Arts Centre, and with the venue providing festival vibes thanks to food trucks and long bar lines, the crowd were ready to dance. The Kite String Tangle delivered, most notably with Arcadia, which was the set highlight. Flight Facilities had a big set to deliver, and they did. Opening with Need You the duo were off to a great start, and guest vocalist Owl Eyes was perfect from the start. Her live vocals were the perfect compliment to the set, and really gave the set a true live feel. Whilst some electronic music can sometimes feel a bit disconnected when delivered live, this was not the case with Flight Facilities’ set, and Owl Eyes’ excellent performance as guest vocalist really played a part in this. The duo had set up a really excellent light show and back drop which also helped deliver a festival vibe, and really make this show great. It felt like a celebration, and everyone was dancing at this party. Even those sitting up on the hill with their picnic blankets couldn’t help but to bop along. The hits continued, with the duo delivering Two Bodies, Down To Earth, Sunshine and my personal highlight from the night, Arty Boy. 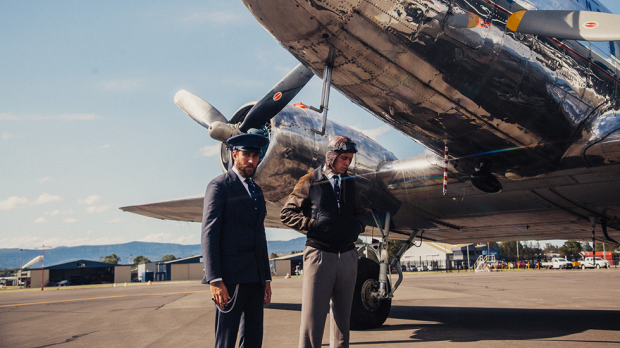 It was a long set, and Flight Facilities effectively broke it up with some short film style video montages, with one obviously being about aviation and featuring plenty of planes. It was a nice break in the set, although it may have confused some. The final encore saw the duo deliver Stranded, Crave You and Daft Punk’s One More Time, which the crowd clearly got into. Unfortunately during Stranded they hit some turbulence, with the sound and lights cutting out momentarily, but it didn’t seem to bother the crowd once they got things flying smoothly again. Crave You was another set highlight, and another chance for Owl Eyes to show off her incredible stage presence. Overall Flight Facilities delivered one heck of a flight, and one that I would happily board again, despite the small amount of turbulance. I was in need of a dance, and they delivered big time. I think it’s safe to say that Fremantle’s preferred airline is Flight Facilities.